Sometimes a brewer just wants to step up. They may have started out with beer kits and made a few handy drops. They may have done the old boil in a bag once or twice. They probably went 'all grain' and made some really damn good beer. They make have begun to keg their beer. Possibly built a keezer or two. And now it's time to step up to a conical fermenter. 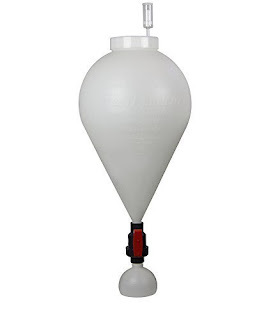 A conical fermenter is a kind of like the big leagues for homebrewing. It's an investment in steel. It's an investment in yourself as a brewer because quality steal fermenters are not cheap! So what are conical fermenters? These steel beasts have a cone-shaped bottom with a valve at the point of the cone. This is obviously quite different from the standard flat bottom of a plastic drum or glass carboy. One of the key reasons why you would want to use a conical fermenter relates to how you can manage the 'trub' so very easily. As the wort ferments, the solids will collect in the cone. By clever use of the valve at the bottom of the fermenter, the trub can be removed from the beer solution. This means that secondary fermentation can be done in the fermenter. It also means that the trub can be washed and the yeast re-used. This can be very handy when using special yeasts that can be quite expensive! This process means that given you can easily remove the sediment from the wort, you can make that holy grail of many a brewer - clear beer. The beauty of using a steel conical fermenter is that unlike a plastic drum, it can be reused countless times, it won't retain odors and it's bloody easy to clean and sanitize. So if you want to cut back on 'racking' your beer or simply cut done on time spent doing your cleaning chores then you might want to step up to the big leagues of brewing with a conical fermenter. So how do you choose a conical fermenter? Do you go cheap and plastic? Do you go quality and made of steel? Do you make a DIY version or buy from a popular brand like Blichman? 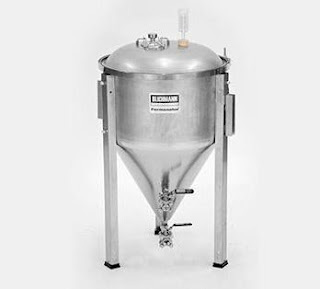 Featuring a wide top opening, the Fast Ferment unit allows for easy ingredient additions, dry hopping or adding oak chips. The yeast collection ball collects all the trub and sediment providing a clearer beer, wine or cider. As we've mentioned, the yeast can also be harvested from this and saved for re-use. The fermenter comes with a bottle filling attachment allows for fast and easy filling of bottles or kegs. At 7.9 US Gallons or 30 Liters, the Fast Ferment is made for 5 or 6.5 US Gallon batches with blow offs. The Fast Ferment comes with an easy wall mounting system that mounts to standard 16" wall studs. If you want a stand, you'll need to purchase it separately. "This is a pretty darned good execution of a vision for a low cost conical fermenter, with a decent innovation (the collection ball) thrown into the mix." "I have had 3 batches through my conical, and they have turned out great! In my other fermenters, I would always use a primary and a secondary container, but with this unit I no longer have to do that." "When primary fermentation is complete, you close the valve, remove the ball, either harvest the yeast, or dump the yeast, sanitize the ball and put it back on and open the valve. It couldn't be easier." "Good conical fermenter. Many other reviews talked about leaking. I have had NO problems with leaking. Just make sure you use enough tape and wrap the threads in the correct direction"
"I am on my second batch of home brew. It's very convenient to not have to siphon or make sure the trub is not sucked up. Just close the valve, remove the ball, install the hose adapter, and you're ready to bottle or keg." So if this sounds like you, check out the price on Amazon. If you have Prime, you can get free delivery. If you have some cash burning a hole in your wallet and you want to get your hands on some steel, we've got two great options. We are big fans of the Blichmann brand. Their gas burners and brewing kettles are quite popular because they are well made and do the job they were designed to do. Much like their range of conical fermenters. The starting point is the seven-gallon conical fermenter, through to the 14.5 and the gutbuster of the 27 gallon unit. I imagine most home brewers generally go for the 7 gallon version but and the semi-pros go the bigger units. In reality, these are commercial grade devices that will help ensure you brew clear beer in quantity. These units boast a 100% weld-free interior which removes the chance of bugs lurking. There's no more need for racking and you can dump trub and take samples with ease and harvest yeast. It's bloody simple to sanitize as you can just drain it out when those germy nasties have been dealt to! If you happened to take a tour of any quality craft brewery you'll probably find a line up of conical stainless steel fermenters and you might find the odd Chronicle from SS Brew Tech, such is their reputation in the brewing industry. The Teck 7's bottom dump valve allows you to harvest yeast and reduces yeast contact with the beer, allowing for a primary and secondary fermentation inside the same vessel. The domed lid allows the user the ability to transfer under pressure (1-2 psi). The Chronical has a full 60° cone, terminating in a Full Port 1.5” opening, making dumping trub through the included elbow and ball valve a breeze! The sanitary TIG welded fittings ensure years of rustless contamination free brewing! A Rotating Racking Arm (patent pending) is set halfway up the cone, allowing for the racking of trub free beer, regardless of how high your trub reaches. 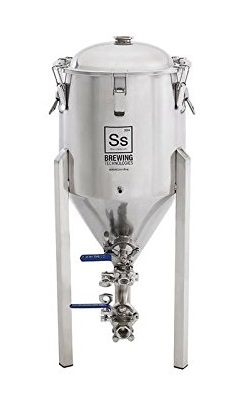 "I am quite impressed with the Chronical 7gal fermenter, and am very excited about its use in the future, as well as the future of SS BrewTech. 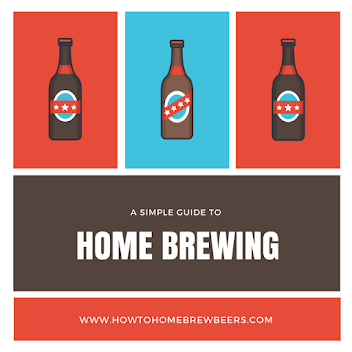 They make some great products at incredibly low prices, and are shaking up the homebrewing industry a good bit. I expect this to quickly become my go-to fermenter, and am quite excited about being able to capture yeast with the bottom valve, and it truly feels like a commercial-grade product." With words like that, you might want to check out the price on Amazon.